Photos taken by Gloucester Daily Times photographers from July 1 to 31, 2014. 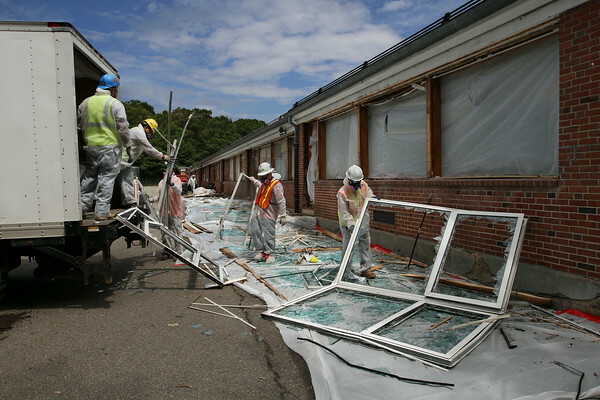 Workers, wearing masks and plastic to shield them from asbestos, salvage window frames Thursday at West Parish Elementary School in Gloucester. Actual demolition of the structure is expected to begin in about a week.